Print: Untitled piece by Doug Galante. Galante’s work is a response to his curiosity with internal mental states (such as dreaming or solitude) and how we process those experiences. His work is mostly abstract, using pattern and repetition to evoke a sense of structure and simplicity within something complex. 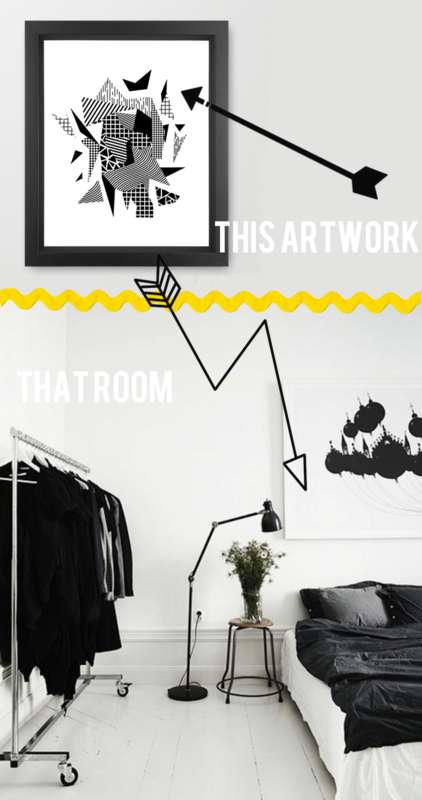 // Room: A minimal, black and white, abstract friendly bedroom. With mobile closet and spartan decor. Featuring “Venezia” artwork by Vladimir Dubko. Photograph: Amanda Charchian’s Calm Sea, Come See, Comme Ci #5. This series of photographs are from the artist’s travel to Costa Rica. 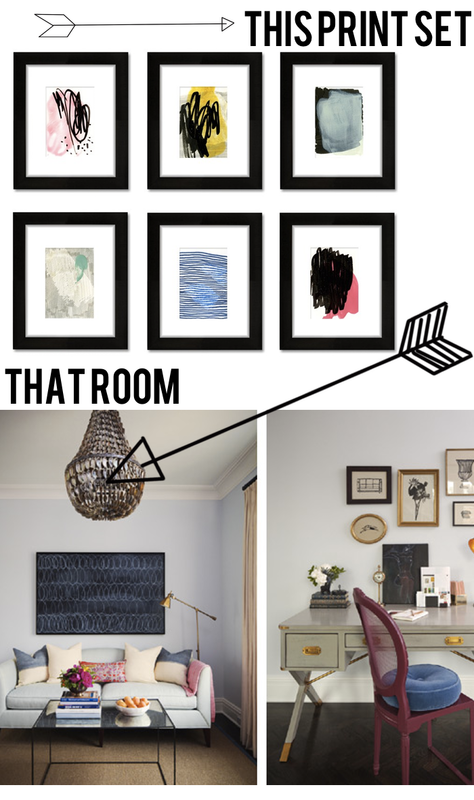 // Room: The opulent space filled with animal prints and nudes found via Elle Decor, October 2011. Print Set: Petit Drawing Set by Heather Day. Day’s interested in the relationship between decay and upkeep that relies heavily on human interaction. These paintings are never planned. Each piece is a product of an experience, leaving behind documentation of how an event transpired. The paintings often act as pages in a book requiring several in a series to tell a story. // Room: A master bedroom in a West Village, NYC penthouse by Lauren Stern Design. Bright pops of yellow, pink, dusty blue and orange are subdued by repetitive and calming abstractions. Photograph: New York 16 by Jay Ezra. Ezra’s photography aims to destroy the notion of buildings as inanimate monuments and to anthropomorphize them as living members of the local community. His goal is to have his photographs embody the personality and character of each city. In this instance, birds as part of New York. // Room: A woven, cotton tapestry in a subtle tie-dyed print topped with a bird design. 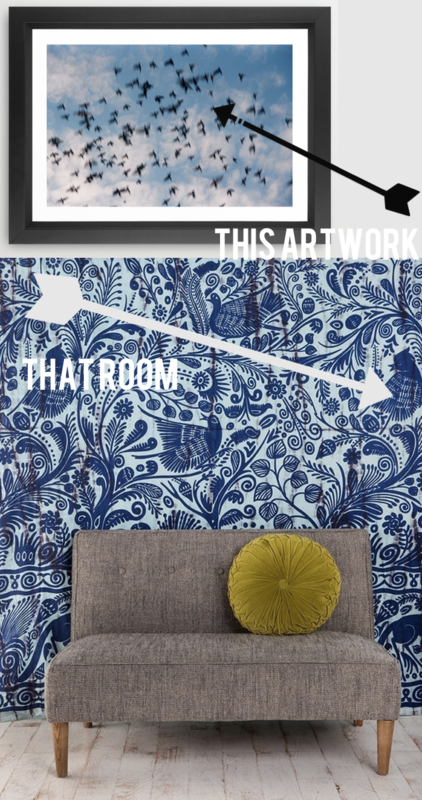 The dizzying floral, Palantine blue and flying birds evokes the sky.